3 Window LED w/ LCD Dot Matrix displaying time, distance, heart rate, calories, speed and incline. 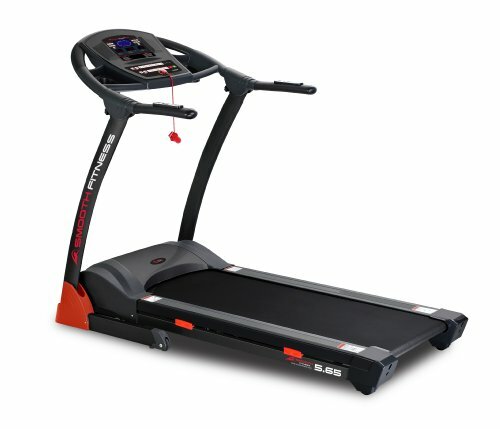 Compact but solid, this feature-rich treadmill includes a dual-stage, soft-drop folding mechanism, deluxe sound system, and quick speed and incline buttons. The Smooth 5.65 treadmill has a gas shock-assist lift so you can gently tilt the 60-inch treadmill deck into position and wheel it away for storage. Then softly drop fold the treadmill back into place when you’re ready to use it.